Many years ago I heard a story that I wanted to share with you today. Well, as the story goes, there had been talk of a large terrifying creature. Many had said that although this animal was massive and hardy; it was a beautiful sight with its thick long flowing hair and beautiful coat. These animals were steady and agile. They are said to be from the parallel universe Counter-Earth or Gor as many of you may know it. They have many similarities to an Earth horse. They are called Kaiila (Ka-EE-la). So after hearing these stories I have been on a quest to find one of these creatures here on Earth. I have searched high and low. From the deserts, to the mountains, to the oceans, I have yet to see one of these creatures with my own eyes. Could you imagine how exciting owning and breeding one of these would be? I am now asking you, can you help me on my journey? Let’s search everywhere!! I am thinking the best place to start would be the Haven sim. It’s so beautiful there and it would be a perfect place for this creature to hide! I am delighted that I get to tell you all what the Showhorse and Best in Show K-9 are for the month of October…. So the Showhorse for October is….Falabella!!! That’s right breed any two Falabellas (any color) together and get a chance at a Showhorse Falabella. The Best in Show K-9 for the month of October is……Standard Schnauzer!! That’s right breed any two Standard Schnauzers (any color) together and get a chance at a Best in Show Standard Schnauzer. That’s it pretty simple, no “Tricks” just some pretty cool “Treats”. So get them bundles and kennels birthing and have some fun breeding for these two “Terrorific” pets!! Until Next time, Happy Breeding!! Happy Friday everyone! It’s been an exciting week at Amaretto with the new stuff popping out from the new starters. I love watching the group excitedly show off all their new surprises! I have to tell you, Amaretto had a staff meeting yesterday and there are so many more exciting things on the horizon I can’t wait! You all are going to continue to fall in love with Amaretto over and over again! Speaking of exciting things on the horizon, the AMOC group has a couple of fun things coming up for the community tomorrow, Saturday September 28th. They are going to start off with the AMOC race at 3pm. Those are always a lot of fun and I hope to see many of you out there with your super-fast Class C horses I’ve been seeing posted in the group! 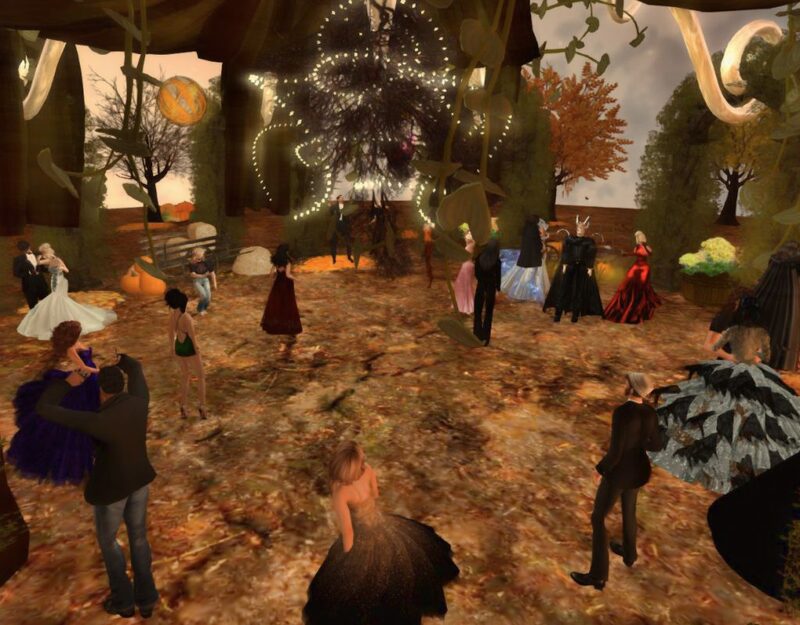 Then at 4:30pm slt the AMOC group is hosting another Market Owner Stand-Up. This is where a market owner comes out and talks to the community about exciting things happening at their market. This time they are honored to welcome Duckkula the owner of Ducky’s Plaza to come out to talk to everyone. Ducky has some pretty amazing news to share so be sure to attend to find out! Stay tuned to this blog for the release of next month’s calendars so that you can be sure to attend all the fun events planned for October! Until next time, Happy Breeding! P.S. Don’t forget, AMOC is holding its monthly horse race this Saturday at 3pm slt! For more information contact Mami Deerhunter or Bundy Xue in world! Happy Wednesday Everyone ! Hope you all are enjoying your new starters ! Well 3 years has past and now we starting on a brand new year for Amaretto new update ! new horses! Today I want to talk about Training your horses for a race ! First off lets talk about the racing hud ( new ones are in all Amaretto Breedables Stores) ! The hud can only connect to one horse at a time. Your Avatar can wear only one hud at a time. Speed means the sprinting speed of a horse. Classes S,A,B,C, and D are trainable and passable. So until next week Happy Breeding Everyone ! Ever wonder where you need to turn when looking for answers to your questions? Well you could come ask them at the Q&A’s that the Amaretto Staff holds at different market sites, or you could ask in the main groups, or you could just go on the Amaretto Web Site, it is a very helpful place to start if you are looking for answers. This is our Social Network or main website which includes a place for all things Amaretto: Advertising, Questions and Answers, Albums, Groups, ARU Website, Blogs, Forums, Help, Support, the Connections Area, and the Amaretto Shop!!! You can also view the Amaretto Calendar, the ARU Calendar, Store Locations and also the Event Section. You will never miss a class or a fun event as long as you use these! These links are under your profile picture on the front page. Here you will see areas for each breedable. This section can be very informative, and also a nice place to socialize with you fellow breeders. Also this section has a Trading post where you can list your items for sale. This site also has an A.M.O.C area and Picture of the week! Ava has put some wonderful videos together to help you understand the Ticket System, Updater’s, Hud’s, G.P.S, Haven Points and Birthing.. This website is the Amaretto Store where you can buy real life gifts for friend and family, or that special coffee mug for your morning coffee or tea! Here you can upload pictures of your breedables to share with others or just look at everyone else’s pictures. Who knows it may just spark a new idea that you might like to breed. I hope this has been some help. And remember we are here for you, don’t be shy or scared. We are nice and love to have fun and breed too!!! Hi everyone! Do you have a special Retired horse or Spayed/ Neutered K9 that you hold near and dear to your heart? 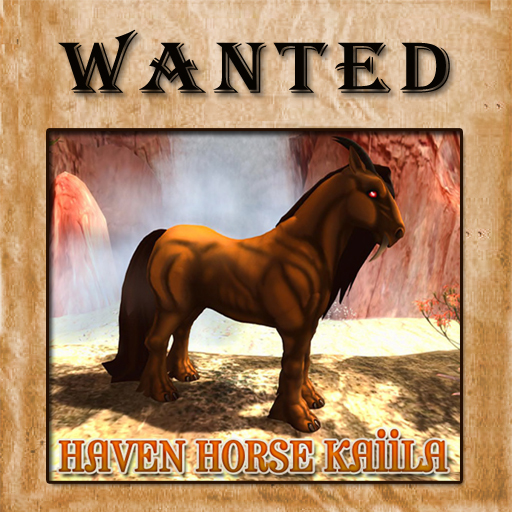 Would you like to keep that horse or K9 forever without having to feed it? Well, you can do that! Amaretto offers the Forever Foal for retired horses and the Perpetual Puppy for spayed or neutered K9s. It’s is super simple to do and I am going to take you through the process, step by step. See, it is that simple to make your cherished retired horse or spayed/neutered K9 in to a pet! So do it today, your horses and K9s will thank you! Make things easier with a Mentor! Happy Friday Everyone! I have been seeing so many new names in the group and out at the events I wanted to take this time to welcome all the new folks to the Amaretto Community and remind everyone of a wonderful program that we offer that can help with so many of those questions everyone has! The Amaretto Mentor Program was an idea born from our wonderful staff and community via the A.M.O.C. group meetings, has come to life to help anyone in need of information and guidance from an experienced breeder. The Amaretto Mentor Program is something that everyone can take part in. If you would like to help out a new breeder or even a breeder that’s been in the game for a while who just has some questions, then we encourage you to go to the Haven sim, University sim and the Amaretto main store and sign up to become a Mentor. You can click the “Become a Mentor” board and you will be contacted by a member of the Amaretto staff with an invite to the mentor group and further instructions regarding your mentee. The mentors are not going to be Amaretto staff, just giving people who are willing to help with issues and questions one might have when breeding Amaretto animals. Of course the Mentors will be able to contact Amaretto Staff with any questions they may have, but we want to encourage everyone in the community to extend a helping hand and share your knowledge of Amaretto Breedables. Now if you have questions about breeding or you’re a new breeder in the community, you can go to the Haven sim, University sim and the Amaretto main store. You will be contacted by a member of the Amaretto staff with further instructions regarding your mentor. We look forward to hearing many wonderful stories of the community coming together to help one another, and in return seeing many beautiful breedables posted in the groups! Hello all my favorite breeders! I hope that all you enjoyed your Thursday and you are ready to T.G.I.F! I know everyone is staring at their pregnant starters and waiting and wanting to see all the great surprises they have hidden in them! We have been busy working on some more new and exciting things to come soon. Everyone was dressed in their Sunday best and all attendees looked lovely. Here are some pictures I managed to snap of everyone at the Fall Formal! It was definitely a lot of fun, and we really enjoy seeing everyone out at the events. Be sure to check your Amaretto calendars for the next event and come join in on the fun! This is Ava formally telling you Happy Breeding and Goodnight!! Happy Wednesday Everyone! Hope everyone is having a good breeding day! Today i wanted to talk to you about Amaretto University. Amaretto is currently offering several different classes weekly. These classes are loaded with information that can help you even if you are a new breeder or an older breeder. Amaretto also has the Amaretto Ranch University website that you can use to check and see what classes are given an what classes you have taken. You must Register for this website at a terminal in world located in each classroom as well as in the courtyard. To keep up with what classes are available each week you can check the ARU calendar! Classes are taught weekly every Sunday, Thursday, and Saturday. Class times are 9 AM Slt and again at 5 PM Slt. Looking forward to seeing you in class ! Until next week ! Happy Breeding !